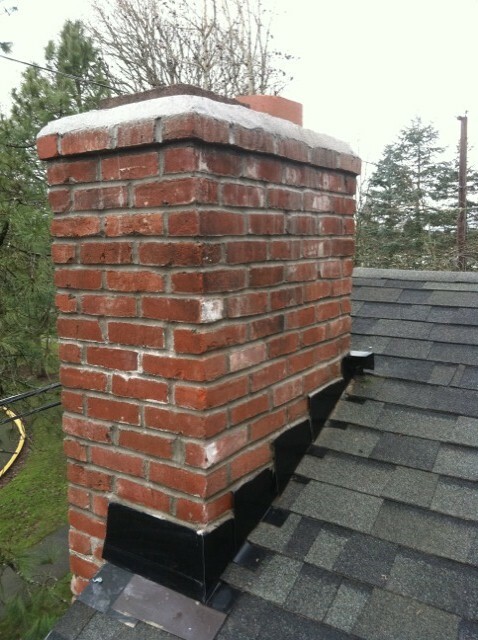 Chimcare offers fireplace repair and construction in addition to our popular chimney sweep and cleaning services here in the Pacific Northwest. Chimcare can build your fireplace from the ground up! We can rebuild back firebox walls in standard “Shiner Pattern” or a custom “Herringbone Pattern”. New fireplace construction often includes the installation of terracotta flue liners to bring to code. 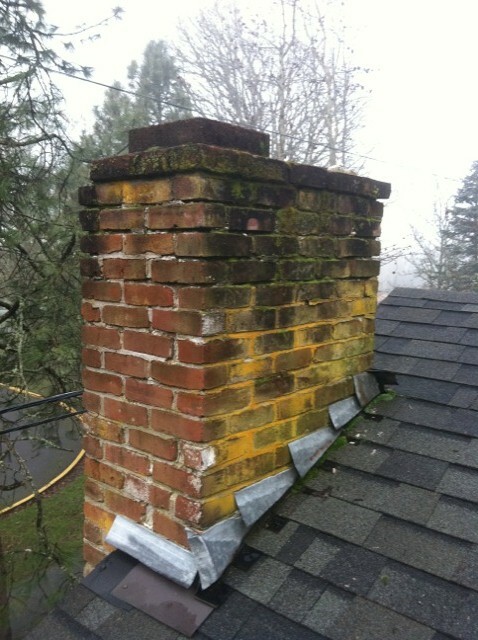 This is because some older homes do not have clay flue liners and built with only brick and mortar. Without having the chimney lined with flue tiles the chimneys are deemed unsafe and a potential fire hazard. With existing masonry fireplaces that are unlined we can install a metal flue liner to bring the existing chimney back to code and making it safe to use. Fireplace construction also includes the installation of a fireplace damper. Dampers should have good seal to keep your conditioned (hot/cold) air from escaping out of your home. Dampers begin to warp after several years because of the extreme temperatures they are exposed to. To determine whether your fireplace damper needs replacement, look up into the flue and if you can see any sunlight with the damper closed, consider contacting Chimcare to replace your flue damper. Whether you are doing a new fireplace construction or restoring an old fireplace, Chimcare is the experienced masonry company that will provide you with top-quality craftsmanship and adherence to safety and building codes with fireplace construction. A fireplace should never be used if it is in need of repair. A rusty, nonfunctioning fireplace damper is the number-one cause for heat loss in homes with a functional fireplace. What’s worse, crumbling bricks and mortar put the combustible materials on the other side of your firewall at risk of catching fire and coming back into your home. A crumbling firebox could also indicate deterioration in your flue; even a partially blocked flue can potentate insufficient ventilation. Contact us to discuss your needs for fireplace construction or remodeling, damper repair and other fireplace masonry projects. We look forward to helping you with a fireplace that is both safe and energy efficient, as well as a beautiful and cozy aesthetic for your home.